Friday, BBC released a teaser trailer to Adele's November 20 interview and performance on the channel. In the clip, Adele performs "Hello" live for the first time. The performance will be aired on the same day as her first album in four years, 25, is released. This album marks a return for the singer, who thought at a certain point she might be done with music. Thank the Lord that she reversed that decision, and we can finally hear new music from the singer in less than 20 days. Not that I have a countdown going or anything. It seems like the music business is beginning to be a bit of a numbers game. Not in the money sense, but in the sense that the two biggest musical albums from this year have been Taylor Swift's 1989, and now Adele's soon to be released 25. I sense a theme brewing. Maybe these two ladies have finally tapped into the power of a hit maker: numbers and women, the latter of whom have been absolutely crushing it in the music game this year. Adele has only dropped one single so far, and, unless you have been living under a rock, you have probably heard it, loved it, and had every lyric tattooed on your body. Her song "Hello" has been basically shattering every record in the music industry, and her album hasn't even dropped yet. 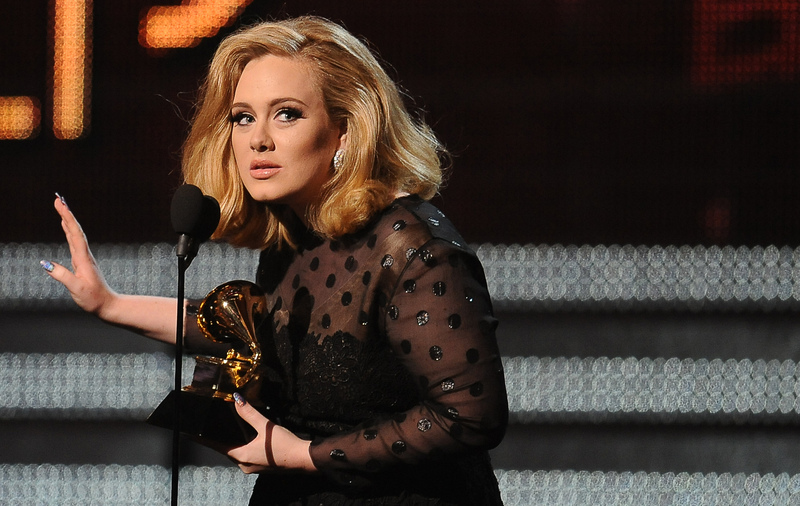 2016 will definitely be the year of Adele, so get ready. While the world may be ready for the Adele storm that is about to hit, can the same be said for the singer herself? She has been dubbed a bit of a recluse, but, even just in the past few weeks, her face, quotes, and music can be seen almost 24/7 on every media outlet in the nation. In her recent interview with Rolling Stone, Adele opened up about her fears of fame, "People think I hate being famous. And I don't. I'm really frightened of it. I think it's really toxic." When November 20 hits, Adele's career will be off to new levels of greatness. And, come 2016, it will be the fans' response that will determine if Adele does a world tour, or even makes music again. This year will solidify her as one of the greats, and what she does with that greatness will be one for the books. Check out the live performance below.